Nokia was one of the best and trusted mobile phone brands in the world, with so many successful smartphone series released from 2000 to 2012. Nokia N8 Symbian smartphone that was released in 2010 was the first Symbian smartphone to feature 12 Mega Pixel camera (auto focus) with almost 4 million units sold in Q4 2010. Nokia was simply top player in mobile phone market, occupying the top spot in almost every quarter from 2000 to 2010. I guess their downfall started when they failed recognize that the global smartphone market was moving away from the usual Symbian and Windows support kind of smartphones to Android, and the rest switching to Iphone. Even the popular Lumia smartphones released in 2012, with over 7 million units sold within Q1, Q2, and Q3 was not able to drag spot with the 26 million IPhone and 105 million Android phones that were sold in just Q2 same year. Nokia was really defeated and Microsoft sold the company to HMD in 2016. Nokia under the new owner, HMD re-strategized and came back to business in 2017. This time, the new management finally adopted Android and launched some Android-powered smartphones. Unfortunately, most didn’t do well in the market, except Nokia 6 and Nokia 7 Plus released in 2017 and 2018 respectively. Recently, Nokia has announced that a new Nokia smartphone will be launched towards the end of January 2019. The name as they called it is Nokia 9 or Nokia 9 PureView. The upcoming Nokia smartphone will be coming with some dope and interesting features which could be Nokia’s next big market booster and might be the true flagship stunner to drive the brand to new heights. Nokia 9 was actually rumoured to be released in 2018, but it was not released. In early December, blogger Roland Quandt wrote a report at WinFuture claiming that HMD Global German marketing executive Britta Gerbracht cited quality issues as the cause of delays. “So far, the quality of the camera has not yet reached the necessary level, which is why HMD Global [has] so far refrained from a market launch,” he wrote. 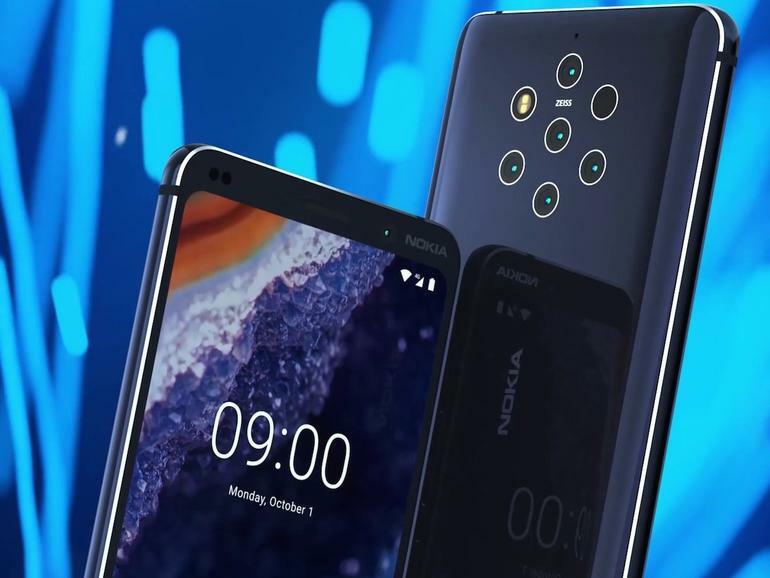 As we await the official launch of the new Nokia 9 smartphone, let us look at some of the interesting features the smartphone will be coming with and the rumoured price. The Nokia 9 will come with a notched display design that features seven holes containing the Penta lens on rear. Instead of the normal metal build that is common with other Nokia smartphones, Nokia 9 has a glass build that enables Qi wireless charging with curved edges. On the display, the android smartphone will be launched with a 5.9-inch Capacitive QHD PureView display with a screen resolution of 1440 x 2560 pixels. The fingerprint scanner is on the display, not the rear which makes the smartphone unique. For me, the major selling point of this upcoming Nokia 9 smartphone is the camera setup. The smartphone will come with five camera setup on the back along with flash and sensors. The front hosts bright 12 Mega Pixels selfie for exceptional selfie shots. Recent reports revealed that the Nokia 9 PureView will be armed with a long lasting Li-Po 4,150Mah battery which is quite impressive. Apart from the five cameras setup the phone will come with, another interesting highlight of this upcoming Nokia smartphone is the wireless charging feature. The Nokia 9 as we learnt will have 6GB and 8GB of RAM options to choose from, with a massive 64GB and 128GB of internal storage capacity respectively. The storage of the smartphone can be expanded up to 256GB with MicroSD Card. The smartphone runs Android OS, v8.0 (Oreo). The Sensors come packed with a series of sensors, like IRIS scanner, waterproof, fingerprint and sensor. The new smartphone makes use of an Octa-core (2.45 GHz, Quad core, Kryo + 1.9 GHz, Quad core, Kryo), Qualcomm Snapdragon 845. No official price has been tagged on the smartphone as at this moment, but the device being an upper mid-range smartphone with some impressive features, the price might be a bit expensive. In fact, a report from MySmartPrice suggests a launch price of US$999. If this is true, then Nokia must be incredibly confident that the new smartphone will be their next big market booster.